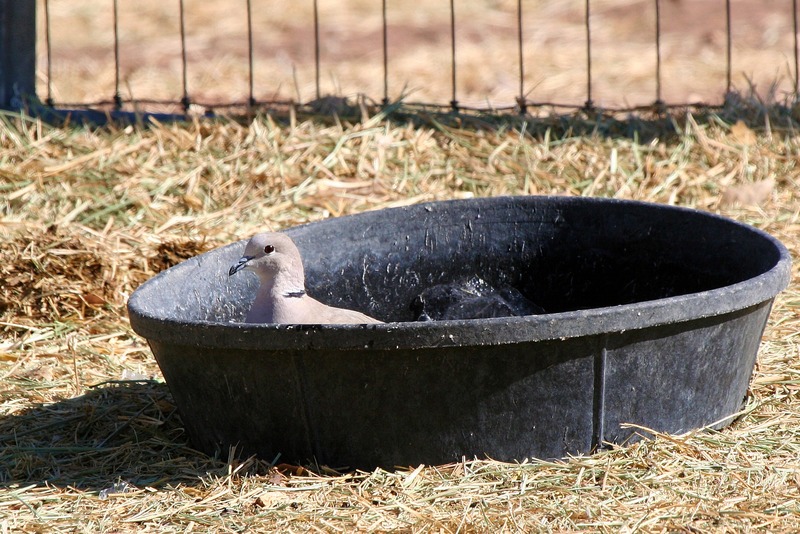 The other day, Baby Boy was determined to tell me there was a dove in his water tub. Doves behave rude sometimes. The sheep family should clear its position as early as possible! And yes. Mommas teeth are cute! A nearby farm has baby Barbados lambs running around their pasture. SO CUTE!! Must get pictures after this deluge of rain we’re having. 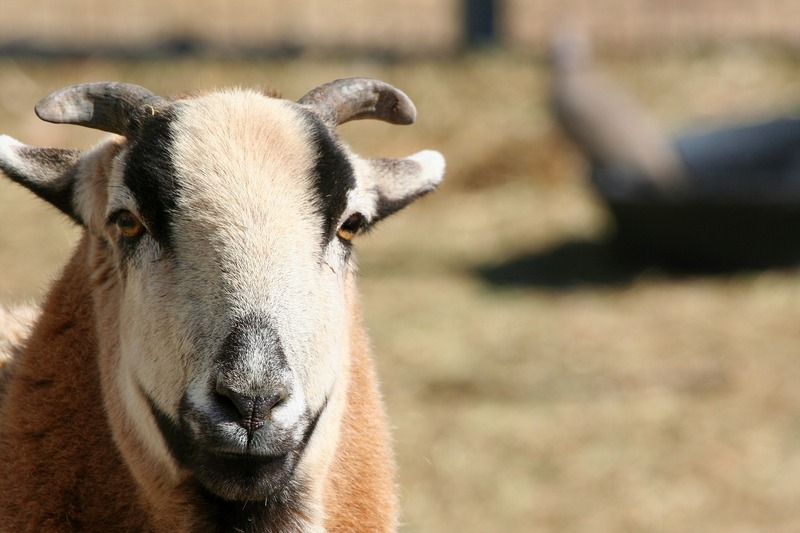 Our donkeys must tolerate so many critters in their water….chickens, doves, magpies, crows, sparrows. Fortunately they are drinking and not bathing. Oh my. Totally SO CUTE!! Oh so fun:-) Thanks for sharing. The sun is coming out again today so I might be able to get some pictures. Baby Boy looks so nice! I agree with you, her teeth is really cute. I am glad you like the “dogs post”. I have much pleasure to post pictures of lovely Morning Bray Farm girls! 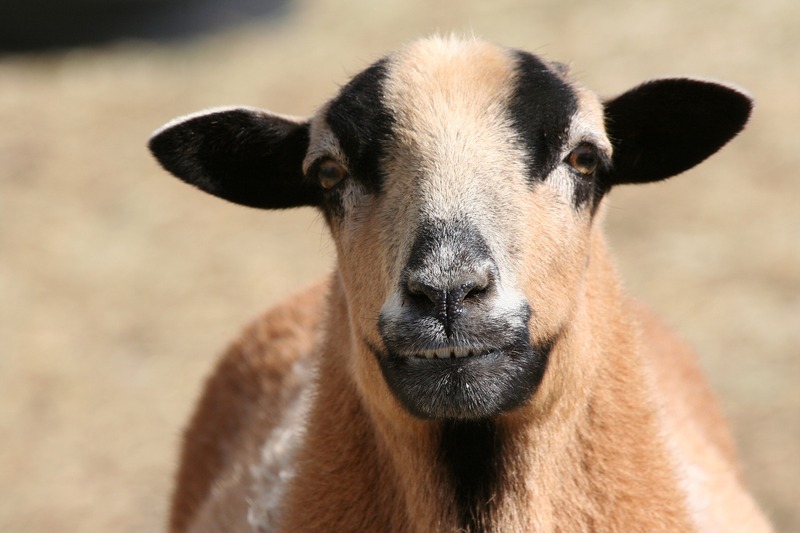 I wasn’t sure sheep HAD teeth, never mind such cute ones, so I’m smrtr now than I was when I woke up. Did you change their drinking water after dovey’s bathtime? Y’know, sometimes I get worked up over Rosie’s drinking “gak” water outside (my term for it)…but then I remember that one of her favorite treats is goose poop. I imagine your sheep are much more civilized than that! What is it with dogs and goose poop? It’s a delicacy to the Hairy Hacienda crew. Oh please, “gak” away! Glad it’s not just my dog…bleagh. Well I don’t blame them — the dove might poop in it! I immediately noticed that the dove looked color coordinated with Baby Boy and Momma. How stylish! Yeah, Mom, evict that bird! I’ll bet if Momma showed her teeth at the dove, it would have flown in fright!!! Now these are just the sweetest pictures! Great shots, Justina – you were in the right place at the right time! Doc and Pippin are mortified. They have heard that we have pigeons at the new house. After seeing this post, they are worrying that the pigeons might bathe (or worse) in their water! Up at the farm the other day, one of Heather’s cats was feasting on a dove. Momma has the cutest smile! The doves make me a little crazy here. They are always pooping in the horse water-yuck!